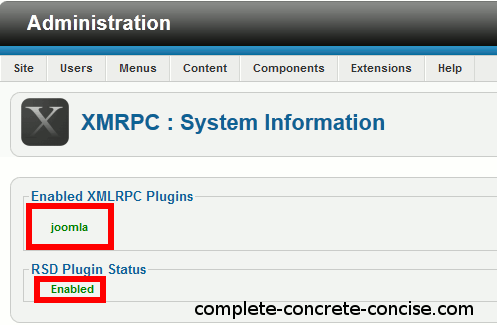 This installation procedure is for Movable Type XMLRPC for Joomla! 1.7.1 under Joomla! 2.5.0. It is likely the same for other version combinations, but there is no guarantee. 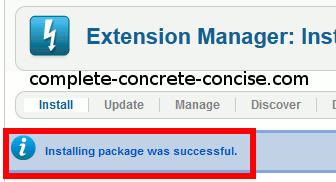 This installation procedure is NOT compatible with Joomla! 1.5.x. 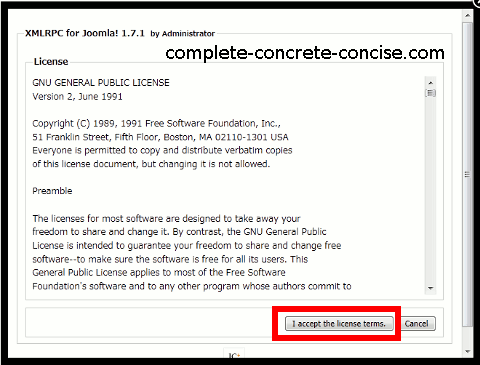 Instructions for installing the Movable Type API for Joomla! 1.5.x can be found here. Some images may be clicked for larger versions. Installing the Movable Type API allows frontend clients (such as Windows Live Writer) to manage Joomla! articles via a blog interface. The Movable Type API is widely supported. A bug in the installation fails to create and initialize configuration files required by clients. 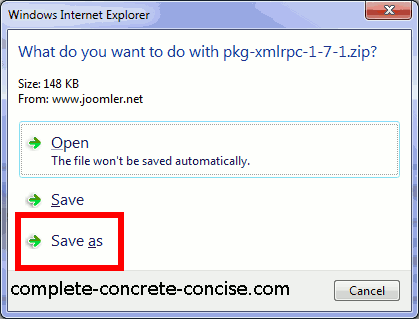 Without these files you will not be able to connect to the Moveable Type XMLRPC. The Movable Type API is now available for use by external clients. Your main site address – what people type to get to your website. Applications vary, some require the full address starting with http://, others will accept just the site name without the http://. The address for the API server. Clients differ, some will require you to enter the full address and path, others will work fine with just /index.php/component/xmlrpc/. Modern clients, like Windows Live Writer 11 and Scribefire Next are able to discover the address of your API server, so you would probably never need to enter this. Clients, like Windows Live Writer 11 and ScribeFire Next will not be able to discover the address of your API Server in this case (unless you had entered your site address and Joomla! path in step 1). 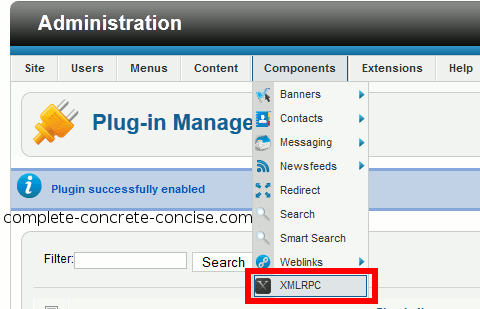 The user name you use to log into the Joomla! backend. 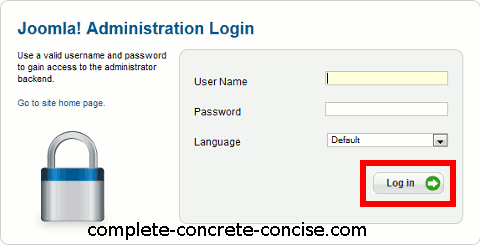 The password you use to log into the Joomla! backend. This is by no means an exhaustive list and only includes those I have been able to try out in Windows. Windows Live Writer used to be my favorite (and it is still probably the best blogging client for most people), but some issues with it (and other blogging clients) made me switch to w.bloggar. Thank you very much – this has helped me to get Screensteps working properly on my new Joomla 2.5 website! I never heard of ScreenSteps, but a quick Google and watching an online tutorial shows that it might be of interest to me as well. Thanks. Yo no se, porque yo no he probado el componente k2.